Last week while I was thinking about Josiah, I began to daydream on what he would one day look like, act like and how he would change the world around him. Would he have my blue eyes and Daniel’s dark black hair? Would he love math and go to school to be an engineer like his father or cry at the mere thought of solving a word problem like myself? As I started to slip off into “la la land” and think about his future life, I began to doodle his name inside my journal. With each new font and color that I used, I thought long and hard about his name. For years I always had my heart set on the name Elijah Scott for a boy and Tenlee Leona for a girl; but if you have read “Our Story” then you are aware that in May 2012, after many failed fertility treatments (due to PCOS and poor egg quality), I heard God speak to my heart and promise me a son. Within that promise, I even heard Him give me a name. His name wouldn’t be Elijah or any of the other “second” place names I had on reserve, but instead he would be called Josiah. 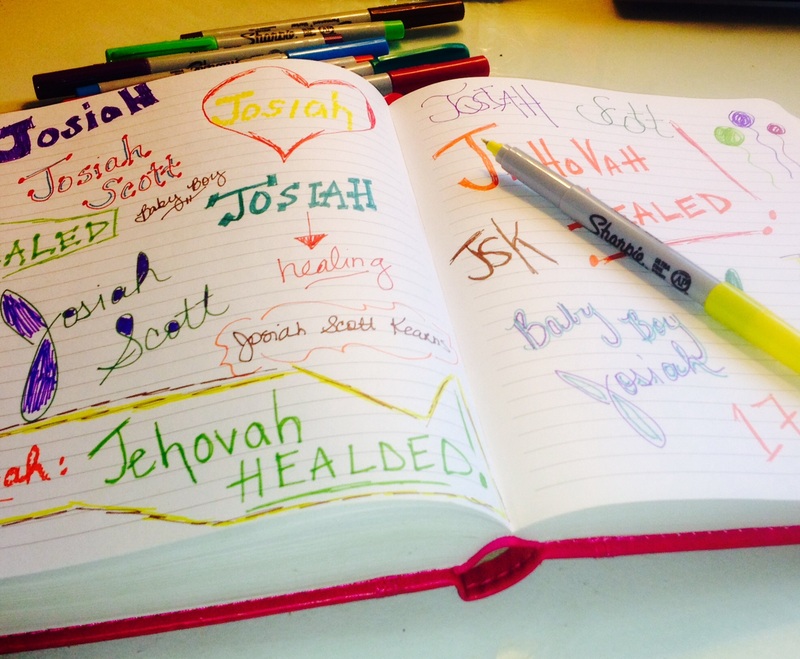 Josiah was never on my list of names to give my future children, but after researching the meaning and learning it meant “Jehovah healed”, I knew immediately it was significant for my faith in believing I can and will be healed in order to conceive and have God’s promise of a son fulfilled. Sometimes, when I think back to that afternoon in May, I am in awe at how God chose my future son’s name with such purpose and significance. Right now, the name Josiah keeps me going when I want to quit, and in hope when all hope seems lost; but soon the person Josiah will be tucked away in my arms and evidence that God still fulfills promises and heals barren wombs. So today, in honor of Josiah Day, I am privileged to have Evangeline Colbert, author of one of my favorite devotions, “A Seed of Hope” guest post for me on the significance and power of names. Have you started thinking about possible names for your child? If you haven’t, start doing so. Do it as an act of faith, believing you will have a child. I encourage you to recognize that a name is more than just a label or moniker. A name has meaning and power to influence. A name is actually an influence on the kind of person we become. Hidden in it are the character, authority, and reputation of a person. In biblical times, children were sometimes named according to what their parents were experiencing at the time of the child’s birth. For example, we’re told in 1 Chronicles 4:9 that Jabez, which means “sorrow” in Hebrew, received his name because his mother gave birth to him with great sorrow and pain. It must have been difficult for Jabez to grow up hearing everyone call out to him, “Hey, Sorrow!” Fortunately, instead of continuing to live a life of sorrow as an adult, he became a man who trusted God, and he asked God to greatly bless him. When a child hears his or her name over and over again through the years, the child begins to show the characteristics that the name implies, good or bad. For instance, the name “Moses” means “drawing out.” As an adult, Moses was God’s instrument for drawing out the Hebrew people from slavery in Egypt (Exodus 2:10). The name “Joshua” means, “God is salvation.” Joshua would later become the captain of the Hebrew army. He sought God’s battle plan and then, through obedience, allowed God’s hand to move in the salvation of the Hebrews as they fought and overtook Jericho and other lands (Joshua 1—6). Another example of the influence of one’s name is when God renamed Abram after making a covenant with him that promised a multitude of descendants. Abram went from having a name, which meant “the exalted father,” to being called Abraham, which meant, “the father of a multitude.” He became the patriarch of many nations through his covenant son Isaac, his grandson Jacob, and great-grandson Judah, who was an ancestor of Jesus. When the angel told Mary that she had been chosen by God to give birth to the Messiah, the name of that child was not left to chance. God’s plan was specific. The angel told Mary to name the baby “Jesus” (Matthew 1:21). His name has the same meaning as Joshua’s—“God is salvation.” Jesus always sought to know the Father’s plan and as a result, He became the way to abundant life and eternal salvation for every human being. Philippians 2:10 tells us that “at the name of Jesus, every knee shall bow in heaven, on earth and under the earth.” There’s power and authority in His name! Jesus also recognized the importance and influence of a name. When He began His ministry, he renamed certain followers to better reflect who they would become by being a believer in Him and a disciple of the His gospel of grace. The name would reflect who they were in God’s eyes, not as they saw themselves. He told Simon Barjona that he would now be called “Peter,” one who is solid and unyielding, as a rock (Matthew 16:17-18). Of course, Peter became one of the anointed leaders among the disciples after Jesus’ death and resurrection. Do you see how important and influential a name can be? My husband and I kept that in mind as we asked God for direction and read various books of baby names and their meanings. We didn’t want to choose a “family name” or whatever name was popular at the time. We wanted to bless our baby with a name that had a positive meaning, one that would set the stage for what was ahead in his or her life. So which names did we choose for each of our children? Not surprisingly, their personalities and lives reflect these meanings! 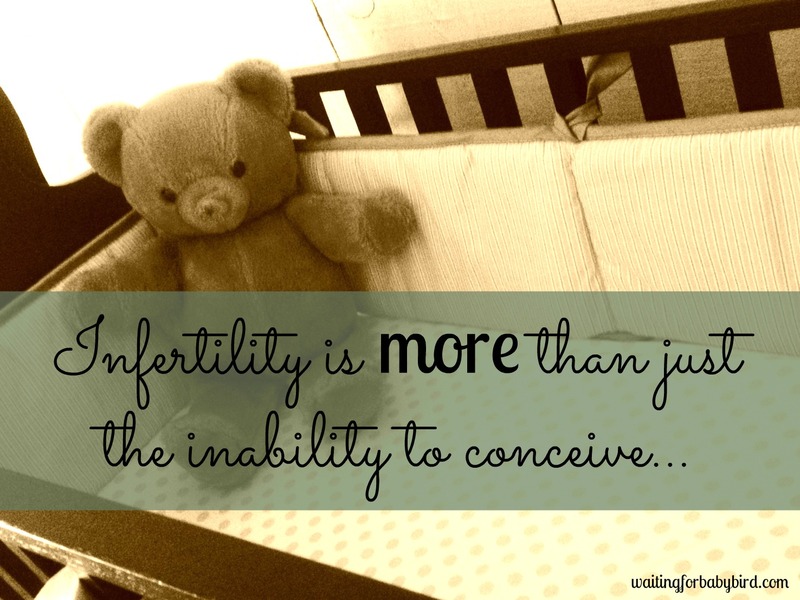 Even though you may not currently be pregnant, searching for names now will be an act of faith, demonstrating that you believe that Jesus took upon Himself the infirmity of infertility for you (Matthew 8:17). It can also be a fun bonding experience with your husband as you discover the meaning of the names of family members and friends and see how much their personality fits their name. Have fun with the search, and choose your baby’s name wisely! An Affirmation for You to Speak: My child’s name will be a good name that honors God and shapes godly character. Evangeline Colbert is an author, speaker, and hope coach. 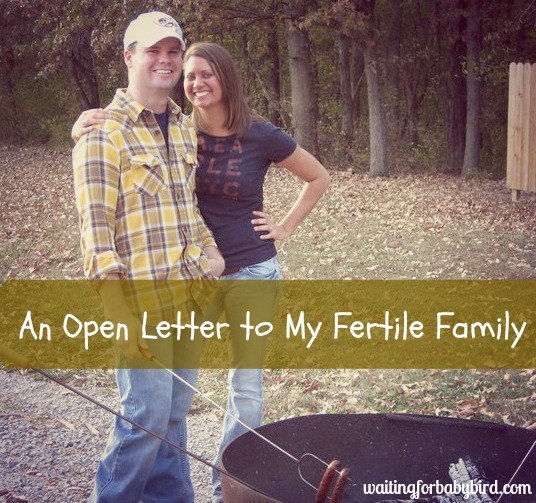 She shares her story of victory over infertility at her blog, www.makeroomformommy.com, where she helps others experience ridiculously good hope. Need more encouragement on a personal level? 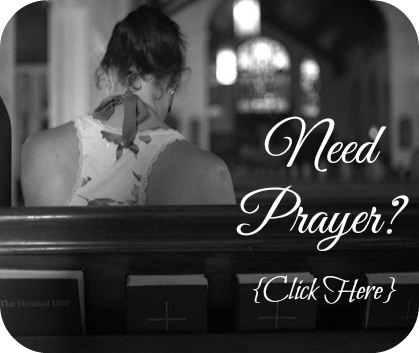 Email her at Evangeline@EvangelineColbert.com and request information about her services as your Hope Coach. ← Did You Just Tell Me No? Oh my goodness! I love the name Maisy! Great pick! Thanks for sharing your name choices! Blessings to you as you grow strong in faith while waiting. I’m so glad we share an area of interest! Learning the underlying meanings of words can bring new power and clarity. But I digress… 🙂 Thanks for letting us know that you’re already acting on your faith by choosing names for the babies! You’re welcome! 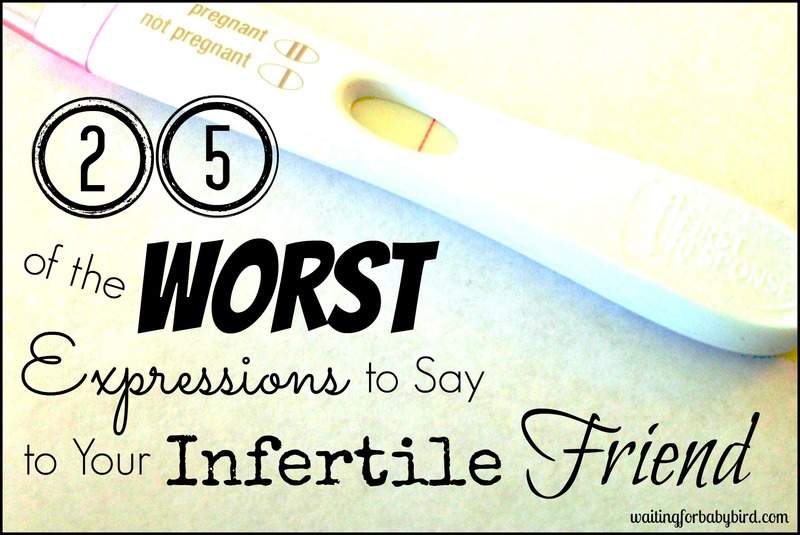 What name(s) are you thinking of using for your baby? Kiftsgate, daydreaming is a good thing! When it’s combined with a focus on God’s love for us, it helps to keep our hope alive. Thanks sugars!!! 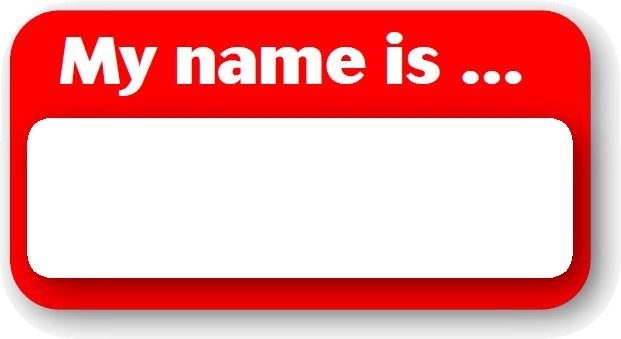 Have your names changed or have you stuck to the same one? Beautiful post and reminders today for so many! Thinking about (and even journaling to) our future children is powerful stuff! Emily, I’m so glad you enjoyed this post! The one I have been waiting to use is Elliana “the Lord has responded”. Amie, I love the meaning of the name Elliana! So appropriate as you wait with faith and patience. Elisha, thanks so much for the privilege of guest posting here. Praying that your readers will each have the joy of giving their child a special, honorable name. During our second loss we were given the name Jonathan for a son that we will have. 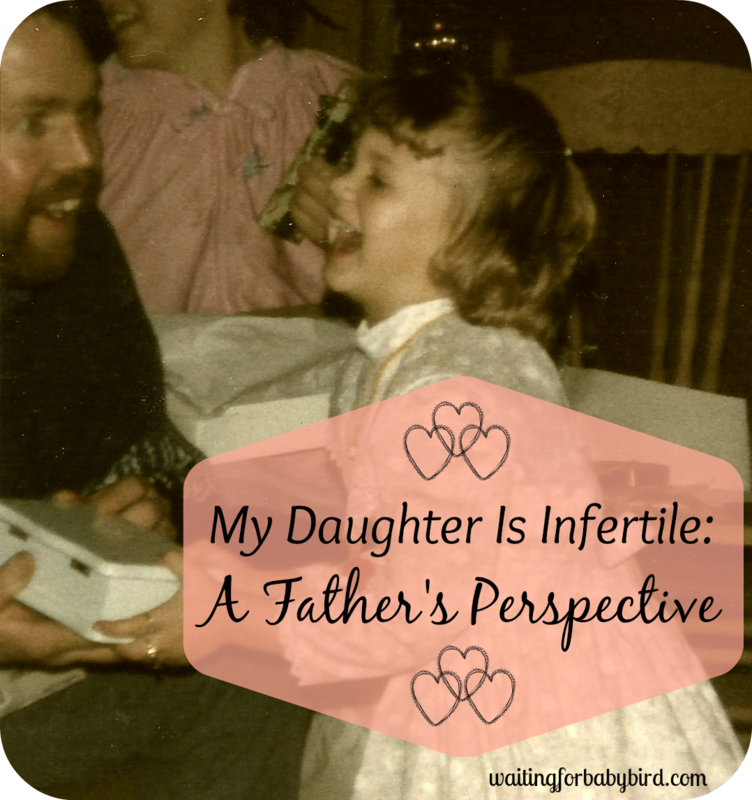 At the time I was angry because I was experiencing my miscarriage. But I will never forget that name, and we have it written down as a promise! Also, during my third pregnancy, the Lord spoke to my husband and told him that we would have a girl and her name would be Victory. Neither names are ones that I would choose and we honestly have told anyone about the names we have picked out. However, after losing our third (our sweet boy Colton James) I have come to realize how important it is to be listening to the Lord for names for our Children. I love that we have 2 names given to us, and I know that the Lord will give us two children, preferably biological, however I will take whatever He so gives! Still waiting… Love you Elisha, and I love A Seed of Hope! Morgan, I’m so glad you shared from your heart. Waiting can be difficult but choose to wait with EXPECTATION of a great harvest. Praying that you’ll receive every good gift and perfect gift that the Father has prepared for you. Good to hear that you’re using my book, A Seed of Hope. Thanks! Dreaming and imagining are a result of having hope. I’m so glad that you’re keeping your hope alive! Love you too Caroline! 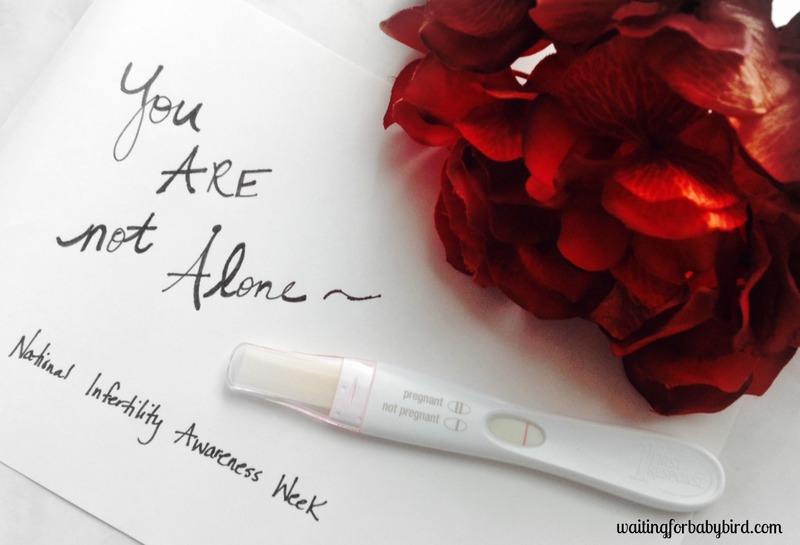 🙂 Thanks for all you do to encourage others to keep their hope in God during their season of infertility. Yes! Names are so important! We’re naming our little man Caleb because of the characteristics of Caleb in scripture. Reading through the Bible I see so consistently how names matter! If they matter to God they should matter to us! Great guest post from Evangeline. Happy Josiah Day, girl! Glad you liked it Lisa. Have you chosen any names yet? Good to hear things are going well this week! oh i love your choices for names! Stella has always been a cute name to me and one of my best friends in high school was named Summer. She was such a joy and ray of sunshine to everyone around. When I chose Katie’s name, I chose to use a family name, Kathleen. It is my mom’s name, my 1st middle name, and it means “Purity” or “Pure”; Alexis ” Defender of the People”, and Rose “of the Rose Blossom”. For me Rose=Beauty. Katie’s name is “Pure Beauty”. And I do believe it reflects her very well, even at 6 years old. She is such a beautiful young lady inside and out. She truly care about the people who love her and whom she loves. I love you always, Elisha! Avery, I lover those names! Family names can be a wonderful legacy for kids to carry on to the next generation. I love this post! I am very passionate about names and the meaning of names and am so excited for the day I get to pick a name for our own bub! I think you should pick a name now 🙂 Got any in mind? I enjoyed this post! 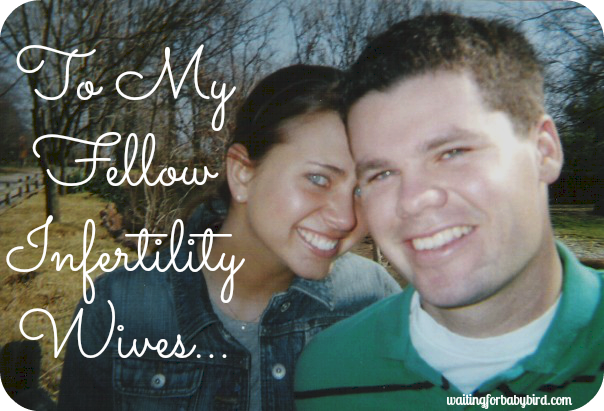 My husband and I also believe God has given us the promise of children. Even have a name for one. Evan James. My husband’s name is James and he and I both have grandfathers named James. Evan is the name of my maternal grandfather. It’s not a name I would have normally chosen, but I believe the Lord brought it to my mind. When I looked up the meaning, I loved it and felt it was very fitting. One of the meanings of Evan is “God is gracious.” I very much look forward to the day God allows us to use that name. Christy, what a wonderful name. I love the meaning of it. EXPECT to be able to use it soon! I love that you have such faith in that name and your sweet boy. Good stuff! We have had our names picked out for a while and they have very important meanings. One day I fully intend to tell each child the story of “them”, how multitudes of people prayed they would exist and how their name is reflection of our gratitude to God. I want them to take the power in their names and use it to be warriors for God. I loved this post! My husband and I were just talking about baby names(for our hopefully-soon-to-be future child) the other night. Names are so important and I am so glad my parents gave me a unique and special name, I want to be able to pass that on to my future children. Glad you liked it and that you’ll give your babies “good ” names. I have names for my boys, David-a man after God’s heart, it means a kingdom minded man of God, fulfilling His mandate on earth, 2. Tino- the promised hope; hope deferred makes d heart sick but a desire fulfilled is a tree of life. My girl’s name is Gabriela, named after her dad Gabriel- messenger of God, it will be one pregnancy with them, TRIPLETS. after a long wait.,, agree with me.